All questions and answers on the subject "IAPM"
How can I contact the IAPM? You can contact the IAPM via our contact form. The IAPM is looking forward to your message. There are various ways to find out about current topics related to IAPM. Firstly, you have the opportunity to read all IAPM-related topics on our website. Within the Xing group "IAPM - International Association of Project Managers" you will also find regular news about the topic "Project Management" and IAPM. You can also subscribe to the IAPM newsletter. 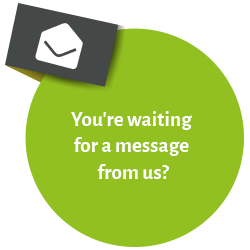 You will receive the latest information directly in your e-mail inbox. The IAPM newsletter is sent once or twice a month. The IAPM extists since 1997. You can read the history of the IAPM here in detail. What are IAPM Ambassadors and what are their duties? The IAPM Ambassadors are particularly committed to IAPM and act as brand ambassadors for the philosophy and ideas of IAPM. They maintain close contact to companies and the economy and are contact persons for all questions concerning IAPM. They are also particularly active in networks such as Xing. What are IAPM Officials and what are their duties? The IAPM Officials and Senior Officials are deployed in their respective metropolitan regions. Here they organise IAPM network meetings and are contacts for organisational questions. Their task is to represent the IAPM outwardly and to offer all those interested in IAPM added value by exciting events/lectures, etc. They also maintain contact with companies and project managers in the respective region. What is IAPM's organisation like? The IAPM is not an association of members, which means that there are no paying members. IAPM is headed by the executive board. Furthermore, there are numerous volunteers who help to shape the association. These include the IAPM advisory board, which is responsible for publications such as the PM Guide and technical questions, and the IAPM Ambassadors, who are particularly committed to IAPM and its dissemination, as well as the IAPM Senior Officials and Officials, who organise network meetings in their respective regions and are contacts for companies and interested parties in their area. What is the difference between an IAPM Official and an IAPM Senior Official? The IAPM Senior Official is the executive Official and has a senior certification level. He is also the contact person and mentor for his Officials. What is the difference between the IAPM and other project management associations? The IAPM is committed to imparting practical knowledge. It deliberately distances itself from purely academic teaching content and is oriented towards what is required for active project work. This also includes the compatibility of the examination preparation with everyday work. The reduction of the teaching content to the essentials as well as self-organised learning make this possible. In addition, IAPM avoids costly recertification. An IAPM certification is valid for life, just like a university degree, driver's licence or high school diploma does not have to be repeated. Furthermore, the IAPM wants to give as many people as possible the opportunity to afford a certification. Therefore, the respective citizenship or the gross domestic product of this country decides on the amount of the costs for the certification. The IAPM International Association of Project Managers is a global project management association dedicated to supporting people interesting in project management and active project managers. This is implemented, on the one hand, in form of numerous certification options via the IAPM certification body. On the other hand, the IAPM offers a communication platform on which expertise and ideas can be shared, as well as fostering international cooperation. This happens through IAPM network meetings and IAPM Official meetings. What is the Network University? The IAPM Network University was founded in 2013 by students in cooperation with the IAPM and forms a link between the IAPM and universities. Universities can offer their students interested in project management close cooperation with IAPM and, if desired, IAPM certifications integrated into the university process. They also raise students' awareness of the importance of good project management and lay the foundation for the future of university graduates. The IAPM has set itself the goal of networking students from all faculties with an interest in project management and facilitating the exchange of experience among themselves and with companies from the region. Network University Officials are students and lecturers or functionaries at universities. Where is the headquarters of the IAPM? The IAPM's headquarters is in the Principality of Liechtenstein. Within the EU, the IAPM is based in Germany. Who are the chairmen of the IAPM? Hans Stromeyer, Ph.D. is the chairman of the IAPM, Roland Ottmann, Ph.D. acts as deputy chairman. Traditional Project Management: Roland Ottmann, Ph.D.
Agile Project Management: Hans Stromeyer, Ph.D.
Who is Hans Stromeyer, Ph.D.? Hans Stromeyer (Ph.D.) is chairman of the executive board of the IAPM and chairman of the IAPM advisory body "Agile Project Management". He is also a consultant, coach and trainer in project management. The graduated Master of Business Administration and Doctor of Medicine founded in 1999 "Stromeyer & Partners Consulting LLC." of which he is since then its CEO. The company is located in Houston, Texas. The focus of the company is the consulting and financing of start-up companies (venture capital), project consulting and the training of project managers. Dr. Hans Stromeyer has been awarded several international prizes for his activities in aerospace as well as project management. Harald Steinmüller is chairman of the IAPM’s “International Project Management“ advisory body. In this function, he was a key contributor to the PM Guide for International Project Management and the associated certification system. After almost 25 years in management and project management functions in the household appliance industry, including many years spent abroad in Australia, Asia and Eastern Europe, he founded “Harald Steinmüller Projekt Partner” in 2011. In addition to being an IAPM training partner, HSPP provides project management services to companies requiring external project managers. He works freelance on international projects, either providing advice and support to project teams or actually managing the project. For three years now he has been collaborating with the global company RavenTech GmbH, which gives him access to an experienced and long-established team of specialists. Who is Roland Ottmann, Ph.D.? Roland Ottmann (Ph.D.) is deputy chairman of the board of IAPM and chairman of the IAPM advisory body "Traditional Project Management", author of numerous well-known publications and since 1992 CEO of Ottmann & Partner GmbH - one of the leading training companies for project management in Germany. He is seen as a proven expert in project management, has precide over the "GPM German Association for Project Management" for many years and initiated the German Project Excellence Award in 1996 and the International Project Management Award in 1998. He was centrally involved in th specification of the learning content for the IAPM certification courses and in the development of the IAPM certification system. As the seat of the IAPM is in Liechtenstein, the currency shown on the invoices is the Liechtenstein national currency. This is the Swiss Franc (CHF). The IAPM is an international association and takes this circumstance account. On the basis of their real life situation, people worldwide should be able to take the opportunity to have their knowledge and experience certified in project management. Therefore, the prices for IAPM certifications are based on the gross domestic product of the country whose citizenship the prospective examnee holds. The IAPM also offers people from countries with weak GDP the possibility of certification. You have registered for a test, sent a question via contact form or similar and are waiting for an answer? We try to answer your inquiry on working days (Monday to Friday from 9:00 am to 5:00 pm) within 24 hours. We will also try to answer your request as quickly as possible outside this time frame. Please check your spam folder. Sometimes it happens that our message arrives in the spam folder for reasons that are difficult for us to understand. Please check if your mailbox is "full", i.e. if the limit for the mailbox size has been reached. It may therefore no longer be possible to send e-mails. Please send us your request again. If possible, please also provide an alternative e-mail address with another provider.